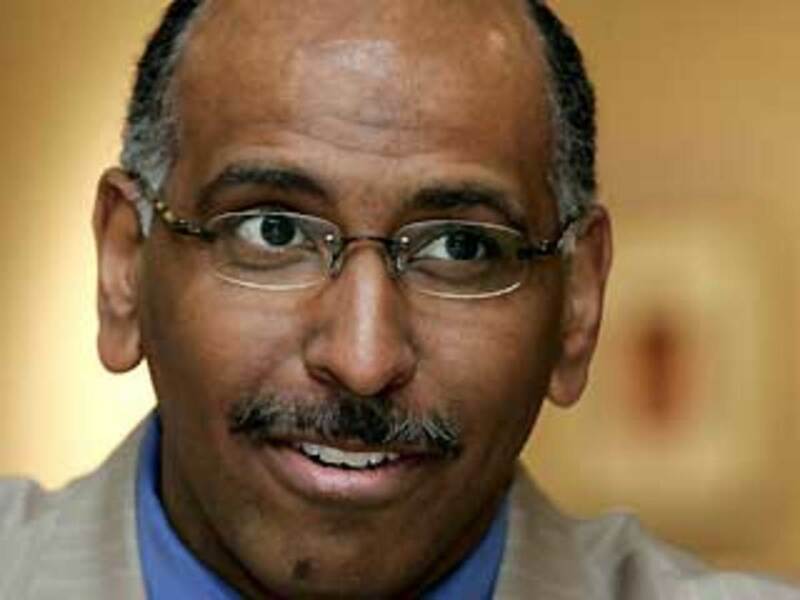 WASHINGTON (AP) — Embattled GOP Republican Party chairman Michael Steele announced Monday that he will seek a second term despite a rocky two years marked by allegations of financial mismanagement and frequent verbal gaffes. After weighing a decision for weeks as challengers lined up, Steele alerted the 168-member Republican National Committee during an evening conference call that he would run. "Yes, I have stumbled along the way, but have always accounted to you for such shortcomings. No excuses. No lies. No hidden agenda," Steele told the committee, according to a text of his remarks he e-mailed to RNC members afterward. "Going forward, I ask for your support and your vote for a second term." "Our work is not done; and my commitment has not ended," he added. Steele's troubled first term expires in January, and the committee must then vote on whether he should run the party's national operations during the 2012 presidential election cycle. A former Maryland lieutenant governor, Steele was chosen to oversee the party in January 2009. He became the first black national chairman in the Republican Party's history just shy of three months after the nation elected a Democrat as the first African-American president. Steele was considered an outsider because he wasn't part of the RNC's clubby environment. His brash style and unconventional ways irked establishment Republicans from the outset. Questions about his financial management of the RNC followed. Republican victories up and down the ballot in November didn't quiet Steele critics. Complaints about Steele's stewardship of the party's national operations only mounted. And he has watched his once strong support within the RNC rank and file all but evaporate as GOP leaders on Capitol Hill and in states across the country signaled they desired new leadership. No less than a half dozen Republicans are weighing challenges to Steele or have launched candidacies. The two latest to formally announce bids are Maria Cino, a New York native who served in the Bush administration and planned the party's 2008 nominating convention, and Gentry Collins, who headed the RNC's political department under Steele. Others in the mix include: Saul Anuzis, a committeeman from Michigan who lost to Steele in the 2009 chairman's race; Reince Priebus, chairman of Wisconsin's GOP; and Ann Wagner, a former Missouri state GOP chair and a former ambassador. Kentucky committeeman Mike Duncan, who was an RNC chairman under President George W. Bush, also may run.